Are your gutters not draining properly? Do they leak every time it rains? Are they pulling loose and ready to come crashing down? Do you wish you had a gutter system that was effective, aesthetically pleasing and professionally installed? Call Pat West Gutter Co., Inc. We use the thickest gauge gutter and downspout material available in the industry, Our installation technique is far more superior,precise,and unique to that of all other contractors. Our Goal Is EXCELLENCE. What you get with Pat West Gutter Co.,Inc. When installing our gutter system on your home, we take special care, to insure our gutters are pitched properly and water flows to the downspout. Our installation method is very precise. Every gutter system we install, drains properly. To make sure our gutter system stays fasten, We locate the rafter tails, and install our hidden hangers with weather head screws, directly into the sollid rafter tail. The result is a very sturdy, longer lasting gutter system. All of our downspouts, and mitered corners, are fastened together with color matched painted aluminum pop rivets. They do not rust and restrict debris like sheet metal screws. Pop rivets give a very clean and professional appearance. 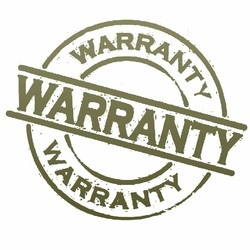 The standard labor warranty in the industry is one year from the date of installation. Our company provides a five year labor warranty, transferable once, on the installation of our gutter system. We warranty that our gutter system drains, does not leak, and remains fastened securely to the building, under normal conditions and proper cleaning maintenance. Gutters are designed to catch the flow of water coming from your roof, downspouts are designed to disburse the water away from your basement foundation. This makes it very important to keep your Gutters and Downspouts clean and free of debris. The need for Gutter Repairs are typically caused by poorly installed gutter systems, weather related issues, and poor cleaning maintenance. We recommend two cleanings a year. Spring and fall cleanings remove debris that has accumulated and insures the gutter system is in good working condition at all times. Preventative measures such as this, prolongs the life of your gutter system, keeps water away from your basement foundation and makes sure you are ready for every season of the year.